When it comes to AMAZING land, 226 Onslow Place is one of the most prized trophy properties West Vancouver & Vancouver honestly has to offer. This 1.12 acre estate backing onto Capilano Golf & Country Club is simply the GEM OF GEMS. New REGULATION IN VANCOUVER IN AGRICULTURAL LAND prohibits big square footage properties from being build. On 226 Onslow with the 53,000 square feet of land, one can build 18,000 square feet of home, 3000 square feet of garage, an estate like driveway, swimming pool, sports court on a GOLF COURSE/MOUNTAIN backdrop - SIMPLY IMPOSSIBLE TO FIND LAND LIKE THIS. 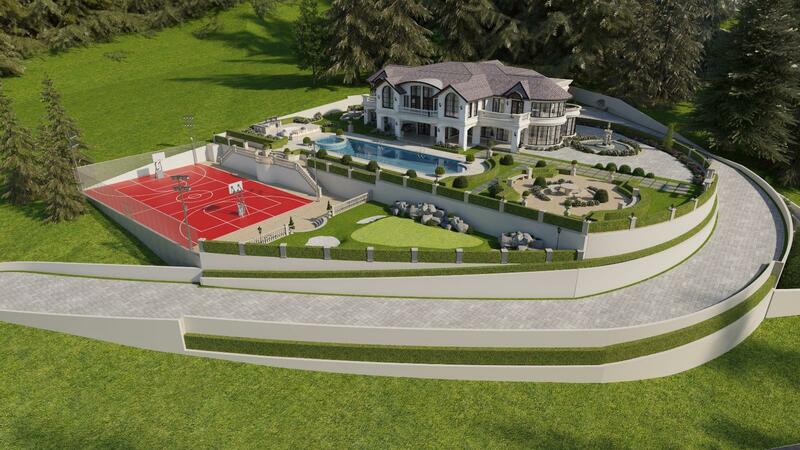 This lot is being offered with approved plans from the award winning, WORLD ACCLAIMED ARCHITECT, David Christopher to build a ONE OF A KIND 18,000 SQUARE FOOT FRECH ESTATE LIKE MANSION - Landscape design by Parnaz Khoee. The illustrations shown on this listing ARE SIMPLY AMAZING.